this past week i spent a little bit o money on some new yams. it was definitely worth it, though.. they are all soft, touchable, BEAUTIFUL wools. the first two yams i purchased at the southside works exposed ‘festival,’ which was mostly very loud, terrible bands, but as i walked around the craft booth section, a shining light drew me in. this was cosyknits literally’s booth. inside she was spinning some wool, and had the most feminine wares for sale. 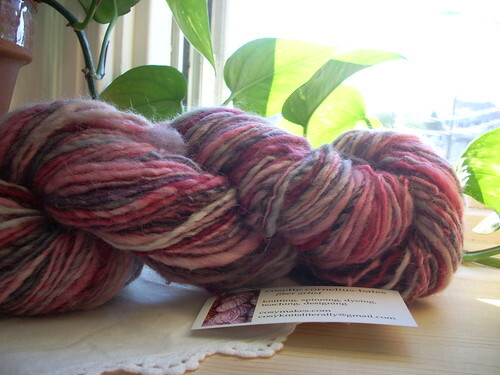 i found an AMAZING recycled sweater skein that she had hand-dyed, and also a hank of ohio shetland farm wool, dyed with thoughtful shades of magenta, reds, purples and pinks.. absolutely fabulous and *girly*. 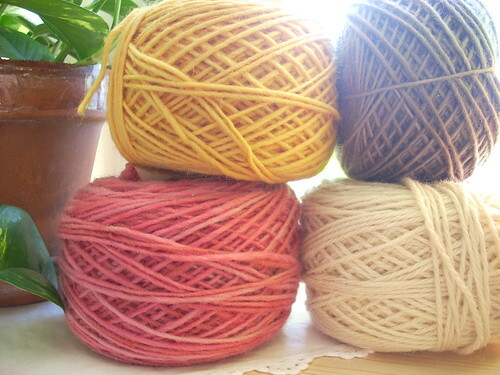 the last picture has four yams.. two of them i bought this week at natural stitches (the yellow and brown skeins). the other two were a christmas present from a very special person. 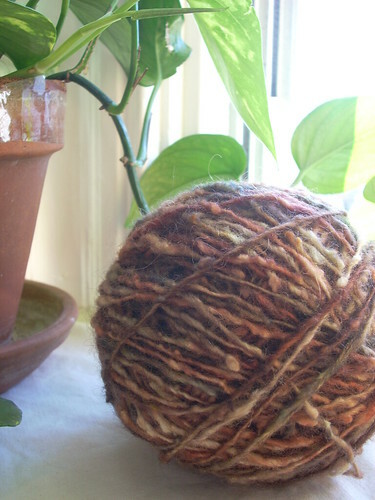 the white is undyed farm wool, and the pink is called ‘heartbeat’ which i think is quite appropriate.. i love all four colors together, and i want to make something very special with it.. i think when i learn to knit better, i will use it for something. ideas? Next > adventures with DPNs..